Selected for Slingshot Guide for Entrepreneurship & Innovation – Our 3rd year! We’re in Slingshot Guide2016! 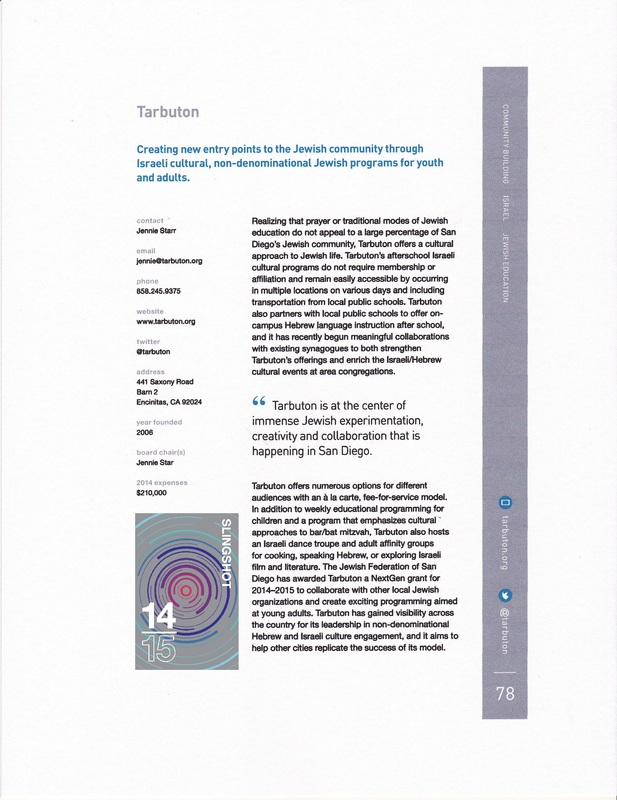 Slingshot recognizes Tarbuton as one of the most innovative Jewish organizations in North America. 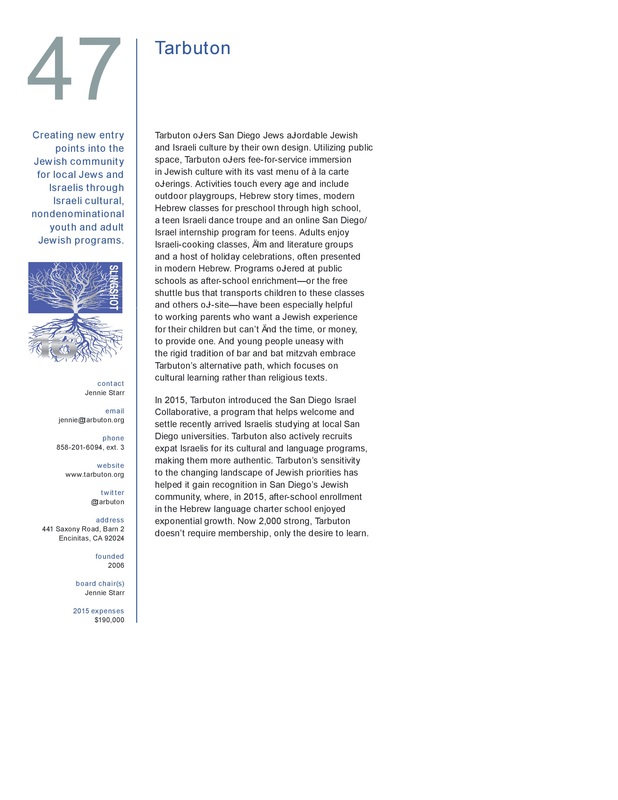 Slingshot, which identifies organizations that are transforming the world in novel and interesting ways, is making the announcement today in its 10th annual Slingshot Guide (think: TripAdvisor for Jewish donors wanting to fund Jewish Journeys and Innovation). The award is a huge honor. What does this mean for Tarbuton? 1. INCREASED RECOGNITION AND SUPPORT. The Slingshot Guide has become a go-to resource for volunteers, activists and donors looking for game-changing organizations to support. 2. MORE INNOVATION! We’re inspired to continue to meet your needs. As Tarbuton continues to grow, so do our ideas! At this exciting time for Tarbuton, please be one of the first to make your congratulatory gift of support here. To learn more about this huge honor, check out the announcement in eJewish Philanthropy. To download a copy of the National guide, click here. Tarbuton Slingshot Descriptions – 3 Years in the Guide!